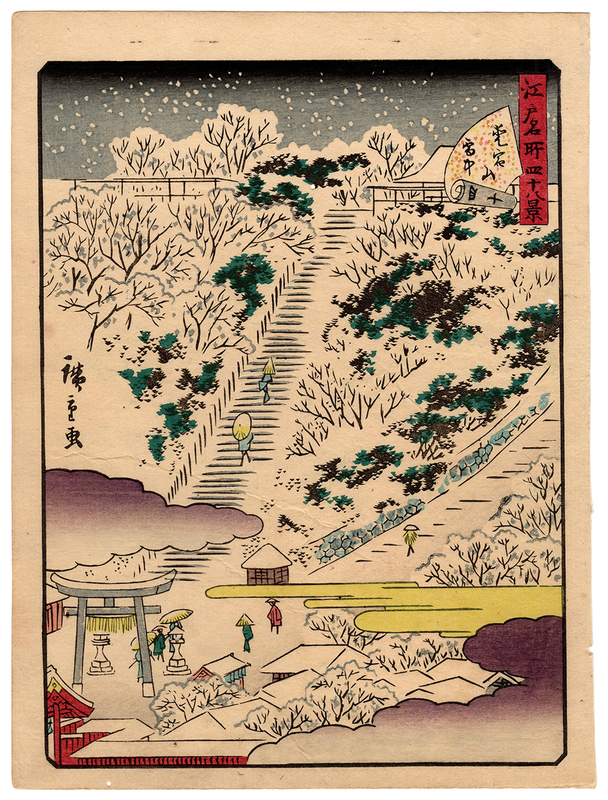 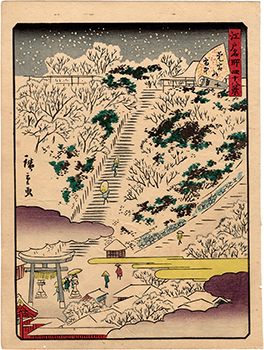 Beautiful original woodblock print made by the artist Utagawa Hiroshige II (二代目歌川広重), entitled "Mount Atago in Snow" (愛宕山雪中) and depicting the Atago Shrine (愛宕神社) in Tokyo and, in particular, its steep flight of 86 stairs, dubbed the "stone steps to success" (出世の石段), which owes its nickname to a young ambitious samurai, who dared to ride his horse up and down the stairway winning much praise from the shogun, and that still today attracts many devotees who wish to achieve career advancement and promotion. 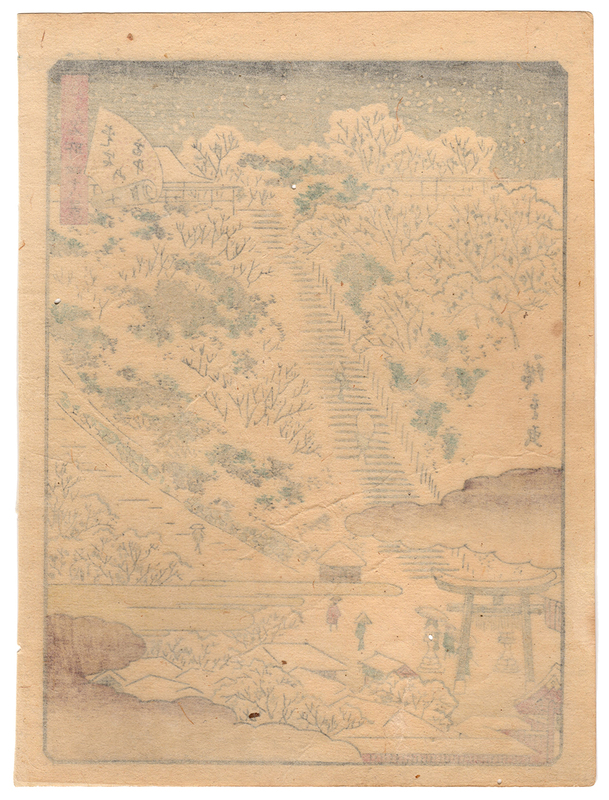 The work was printed around 1860 and is taken from the series Edo meisho yonju hakkei (江戸名所四十八景), ie "Forty-Eight Views of Famous Places of Edo", produced by the publisher Tsutaya Kichizo (蔦屋吉蔵), owner of Koeido (紅英堂). 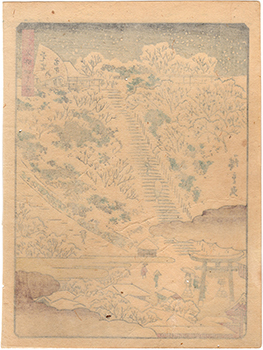 The print, despite the right signs of aging, including some small holes, is in good condition thanks also to a relining carried out on the back with a second sheet of Japanese washi paper (和紙).